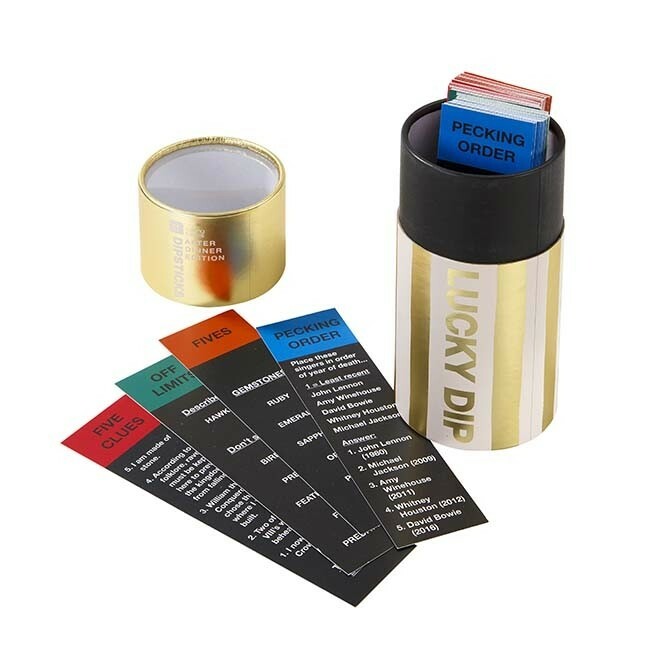 This luxurious edition of Lucky Dip Dipsticks is the perfect game as a gift for lovers. 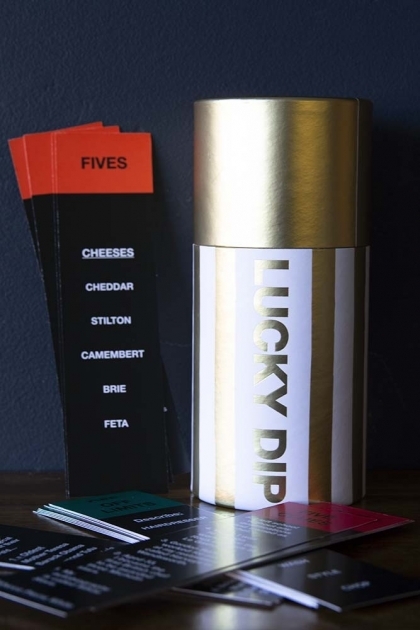 Each pack contains Five Clues, Off Limits, Pecking Order & Fives and has 160 game plays. 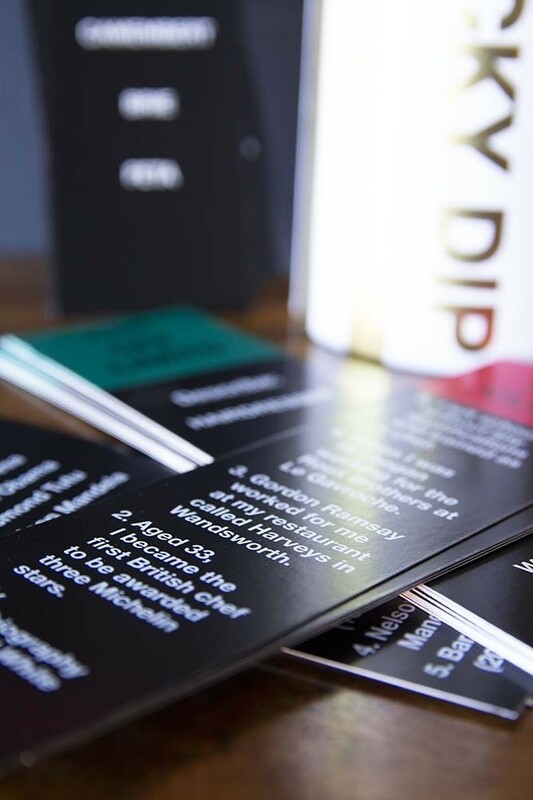 Each player dips in, picks a card and plays the game.